Twitter lists are a wonderful feature – one that’s often overlooked by marketers, even though Twitter lists been around since 2009. Lists help you spend your time more effectively on Twitter because you can more easily find, monitor, and interact with the right people. Like any list, Twitter lists are practical and useful. This simple yet efficient feature allows you to easily group the people and brands you want to follow on Twitter. 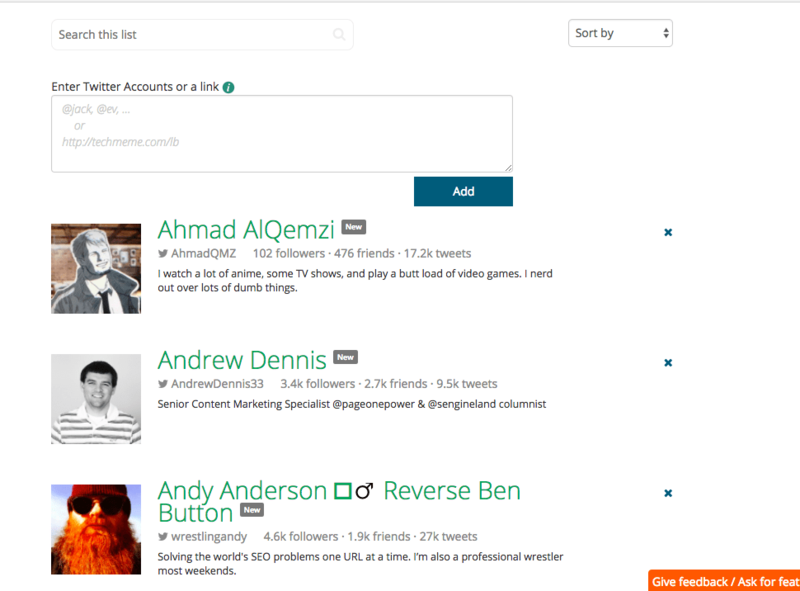 It makes it easier for you to keep up with tweets from people with specific interests and expertise. 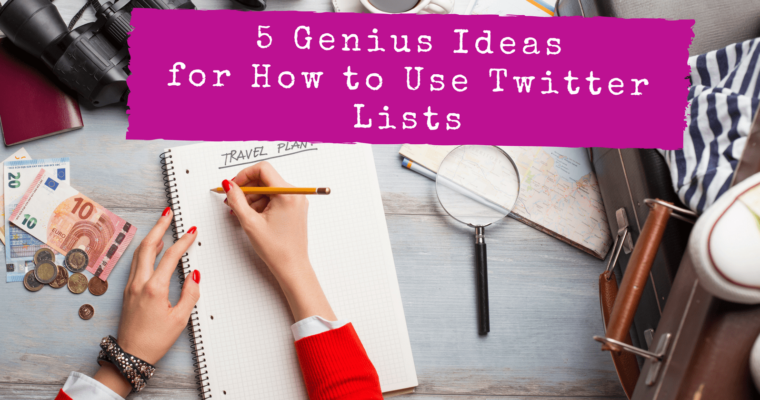 Here’s how to to create Twitter lists, and five genius ideas for how you can use them. You can create lists directly on Twitter. Lists can be public (any user can see it) or private (only you can see it). Simply head to your Twitter profile page, click on Lists, and find the Create new list button. 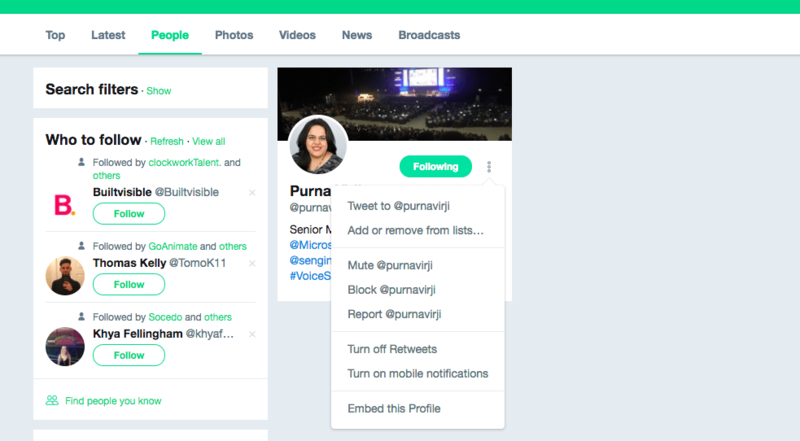 After creating your list, Twitter will prompt you to search for users or visit a page with accounts you are following. No matter what option you select here, you need to have more than just one lonely user on your list. So let’s add a user. Once you find the person you want, you’ll then click on the three vertical dots located to the right of the Follow button. Now you can select whichever list you want to add this user to. Depending on how many people you want to add to your list, this could take a considerable amount of time as it’s all manual. The key to successfully perform routine tasks is automation. 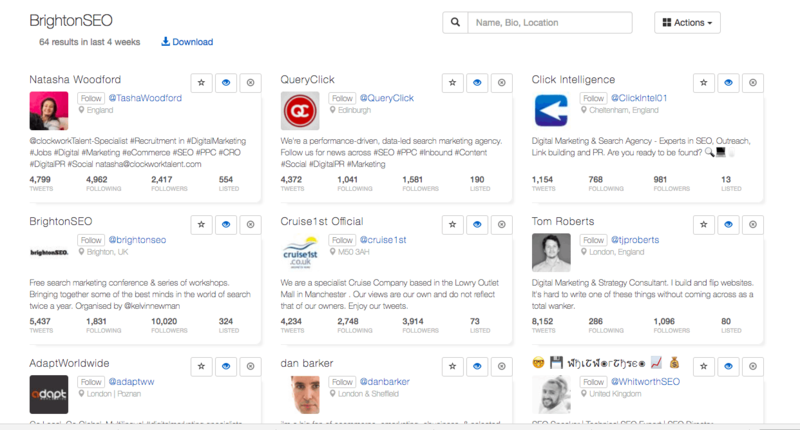 You’d be surprised to know that there are different tools for Twitter list management. This option may become highly productive only if you’ve already created a list of users, and simply want to update it by adding new members. Otherwise, it can turn into a never-ending nightmare. 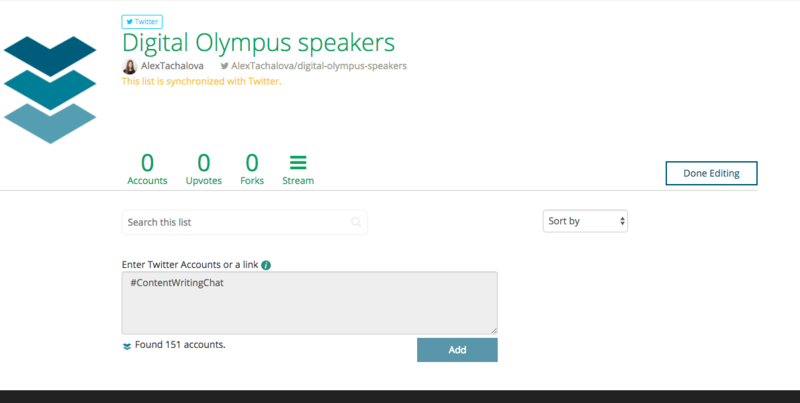 Adding users’ Twitter handles or direct profile URLs, separated by a comma. Adding a particular hashtag or a search query. Adding more people on Twitter has never been easier. And if someone no longer interests you, deleting irrelevant users from your lists is just as simple. You can also look for new people based on their profiles. All in all, compared to a very limited Twitter’s functionality, this tool is a gem. Browsing for new contacts based on their interests, previous search activity, or membership in other groups? Not a problem! Shared something using a particular hashtag or a search query. Have been added to a certain list. Are following a certain person. The one thing I don’t like about ScoutZen is that it doesn’t let you assemble users from multiple other lists or group together people based on various hashtags. But unlike Listpedia, ScoutZen allows you to look through the list of people you’re about to add, and see if those people are worth being on your list. You can do it by using its ‘Starring’ feature. Clearly, creating a Twitter list isn’t rocket science. So now that you’ve got yours, here are some ways you can put Twitter lists to work. Segmentation, as a process of dividing whatever data you may have into smaller units, is incredible. If you’re already using segmentation to organize your audience, then you definitely know how much it impacts the engagement level. It’s always helpful to know whether a user you’re currently engaging with is a client of yours. There’s no doubt that such lists shouldn’t be made public, but it doesn’t diminish their value. Same goes for your potential clients who can also be involved in discussions that will be showcasing the reasons why your brand stands out. If you know whether a question about your product or service is coming from your current client, then you can better structure your conversation. 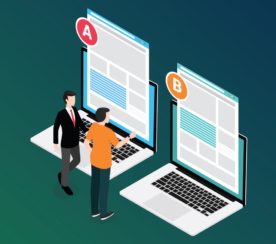 For example, you can avoid asking the same questions over and over again, trying to figure out if this person is using your services or your product. The faster you solve your clients’ problems, the more loyal they’re going to be. If Twitter lists aren’t the best way of informing a target audience about your brand, then I don’t know what is. It works, thanks to a notification that Twitter sends if a user has been added to a list. So the name you give to a list matters a lot. If an expert notices that he was added to a list called “The Best SMM Experts”, he is more likely to check your profile. What makes Twitter lists even more exciting is that you can view content shared by members of a particular list. This, in turn, allows you to promptly leave a comment, share an interesting article, and so forth. For instance, I use Twitter lists to support our speakers’ content, because our perpetually flowing Twitter feeds make it easy to miss something important. Another example of putting a list to work is by creating a list of experts who are your brand ambassadors. Once you want to connect with them and ask to promote something, you can find them in a few clicks. This tactic can open up new guest posting opportunities for you. 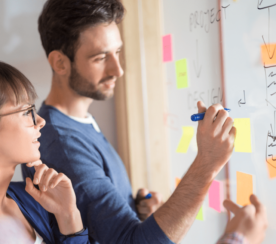 If you are a PR manager, then you can find it convenient to have a list of blog editors you’ve been planning to connect with. 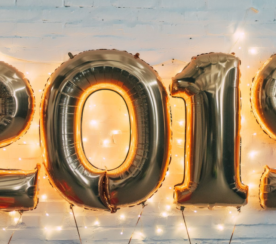 Twitter lists are a way for you to gain someone’s trust in order to nurture a meaningful professional connection, as you will always be there to give a shout-out to a newly published piece. 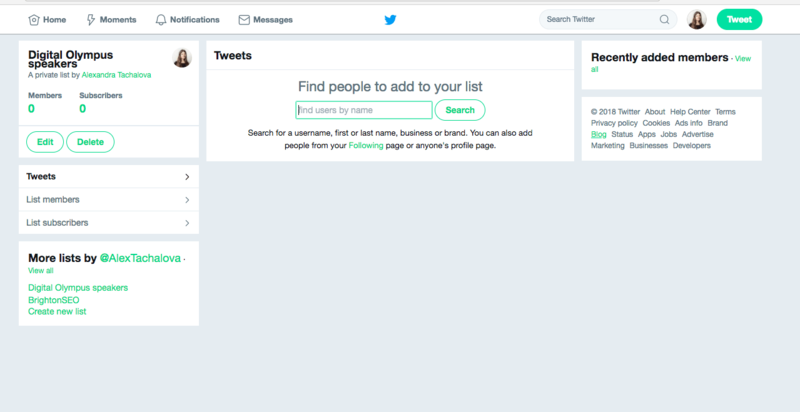 Just like you would do with your leads, you can create your Twitter lists of people who gave you their contact details. Luckily, there are various tools that can assist you in finding people’s Twitter handles using their email address. Another great way of utilizing Twitter lists is to use them to track potential leads for any kind of event. If your company is taking part in a conference, then it wouldn’t hurt to create a list of users who are planning to attend. 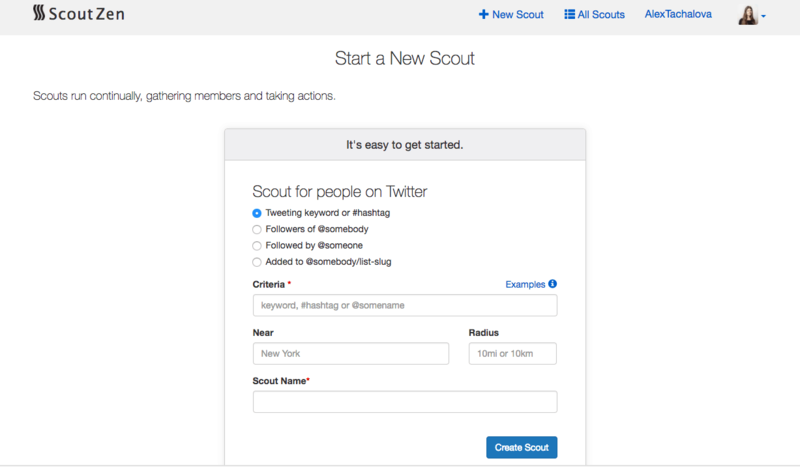 You can use ScoutZen to collect a list of people who have recently shared something about a particular event. To further extend your research, you can review your competitor’s followers. I bet you’ll find a lot of potential clients who can be added to a new and promising list. You also have an option of creating a list of users who have recently shared something similar to the subject you’re writing about. 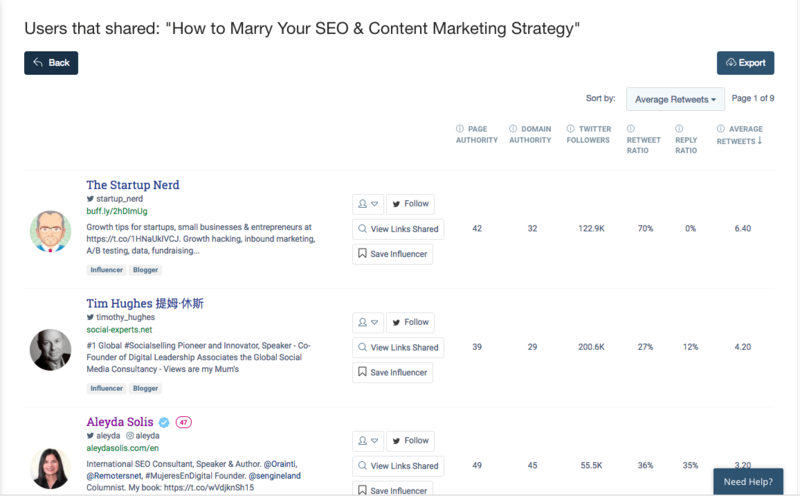 BuzzSumo will let you get a list of like-minded professionals. After completing this step, you can export those users and, with the help of Listpedia, create a new list in a few seconds. Remember to name your list properly. Once you’re done, sharing your published piece with the right people is going to be a great deal easier, because you’ve already created a list that is easily accessible via Twitter. What’s more, you can create a list of current industry blog contributors, which is another way of perfecting your outreach campaign. If you’ve never tried tailored audiences on Twitter, then you’ve never actually used Twitter ads campaigns to their full potential. I’ve found that only Twitter’s tailored audiences allow you to get the lowest cost per engagement. Tailored audiences are absolutely unique because you choose who gets to be included in them. You decide which user is going to make the cut. Your tailored audience is literally hand-crafted, which makes your Twitter lists become even more valuable. Why? Because they have the most valued and esteemed users in your industry. That’s why I recommend analyzing what kind of lists your competitors created. Moz, for example, has kept track of all of their attendees from every MozCon. That’s a brilliant idea! Again, if you wish to get a list of users who are associated with any certain Twitter list, don’t waste a minute and use ScoutZen. Twitter is an amazing and powerful social networking tool. Some people use it share their personal thoughts with friends. Other people use it as a platform for business and networking. Whichever way you look at it, Twitter is a great way to collect and share information. And regardless of whether the conversation is professional or casual, people communicate and develop relationships on Twitter. But if you want to take full advantage of Twitter’s features, you need to keep it organized. Creating lists will certainly help you benefit from using this social media tool in a very productive way. Featured Image: Created by Alexandra Tachalova, April 2018. All screenshots by Alexandra Tachalova. Taken 2018.